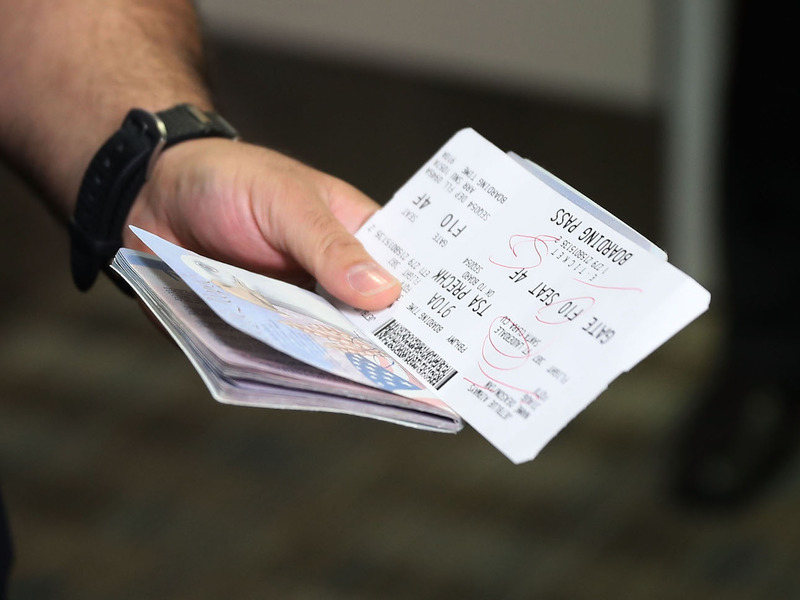 Joe Raedle/Getty ImagesDoes your passport meet international travel requirements? Passports and the regulations around their expiration dates can create unforeseen problems for travellers – particularly when it comes to international travel. Many European countries, including Spain, require passports to be valid for at least 90 days after a tourist’s arrival. To avoid disrupting your travel plans, check the passport validity requirements of your destination, as well as the expiration date on your passport, long before you fly. My wife and I stood at the ticket counter, staring at each other in disbelief, unable to process what was happening. Just two hours before we were supposed to fly out for a family trip to Spain, American Airlines told us that our son would not be allowed to board the plane. Our plans of drinking sangria in Barcelona and watching soccer in Madrid vanished, and there was nothing we could do about it. The reason? Our son’s passport’s expiration date. It was an issue we never saw coming – and it could derail your travel plans, too, if you don’t do your homework before your next international flight. Our son’s passport was due to expire in mid-April, which was almost four weeks after our planned return flight. We realised that were cutting it close – my wife and I even talked about it a few weeks before our trip – but it never occurred to us that it would be an issue. After all, a valid passport is a valid passport, right? When we scanned my son’s passport at the check-in kiosk, we were shown a screen that said that your US passport has to be valid for at least 90 days after your departure date to be allowed to enter Spain. We wondered whether an error had been made, but one American Airlines representative after another confirmed our fears. We wouldn’t be allowed on the plane. Short of leaving our son with his grandparents for a week while we cavorted in Spain – which we considered for a moment, though never too seriously – my wife and I knew we had run out of options. Even if we could renew my son’s passport in the next few days, the cost of rebooking the flights was simply more than we were willing to spend. A quick Google search showed us this wasn’t just Spain. Thanks to the 1995 Schengen Agreement, most European countries require passports to be valid for at least 90 days after your arrival. Many countries around the world are even stricter, mandating the passport be valid for 180 days. Why? Because a valid US passport typically lets you stay in a country for tourism or business for up to 90 days during any 180-day period without requiring a visa. Even if your trip is scheduled for 10 days, the reality is: Travel plans change, and disasters happen. So, many countries build their passport requirements with this 90- to 180-day buffer in mind. All this information is readily available online, but it never occurred to my wife and me that we needed to look for it. We have travelled internationally many times yet had never heard of these rules. Many of our travel-enthusiast friends hadn’t either. The resulting financial sting was real, but not as bad as it could have been. We had purchased our airfare with American miles and got those refunded; however, we were told that if we had waited until after our flight had departed, we would have lost them altogether. We also got refunds on the tickets we had bought to several sites in Barcelona and Madrid. Unfortunately, we weren’t as lucky with the tickets for the Real Madrid soccer match. Check your destination’s passport-validity requirements before you book the flight: As I said, these rules can vary, so never assume you’re covered. Visit the State Department’s website for more information. The travel site ThePointsGuy.com also has a helpful guide to validity rules around the world. Check your passport expiration date before you book: Planning an international vacation can be chaotic enough without worrying about getting a new passport at the last minute. If your passport expires within a year, go ahead and get a new one as soon as you start getting serious about planning the big trip. Remember that passports for kids are valid for only five years: Even if you think you just renewed your son’s or daughter’s passport, do yourself a favour and double-check. Rules for kids’ passports are different from those for adults. Thanks to new restrictions aimed at combating child abduction and trafficking, renewing kids’ passports requires jumping through a few extra hoops. For example, your child must apply in person, and both parents or guardians must be present. Credit-card rewards can help turn those lemons into low-cost lemonade: Once our trip to Spain was off the table, we decided we would do our best to go someplace else. This is where our obsession with miles and points paid off. It took most of the rest of the day, but using American Airlines miles for the airfare, Hilton and Starwood points for the hotel rooms, and a Chase travel credit for much of the rest, we cobbled together an inexpensive, last-minute trip to the Florida Keys for our family. It wasn’t Spain, but it was a wonderful trip. We like to say we took the lemons that were handed to us and we made key lime pie. Matt Schulz is senior industry analyst at CreditCards.com. He is also the founder of TalkingInClass.org, which is devoted to improving childhood financial literacy in America.